Most computer users use their mouse often. 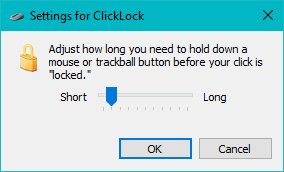 This means you’ll also use the mouse not only for clicking, but also for dragging. Dragging program windows, files and selecting text or regions in images are the use cases I find myself performing most, and that can get repetetive and intensive. Thankfully, Windows and OSX have solutions for it: ClickLock and Drag Lock, respectively. ClickLock locks down the left mouse button after you hold it for a short amount of time. When I hold down the mouse button for a short time the operating system will keep the button held until I click a second time. First, open the Mouse settings window. You can do it by going to the Start Menu (Windows key) and typing “Mouse”. 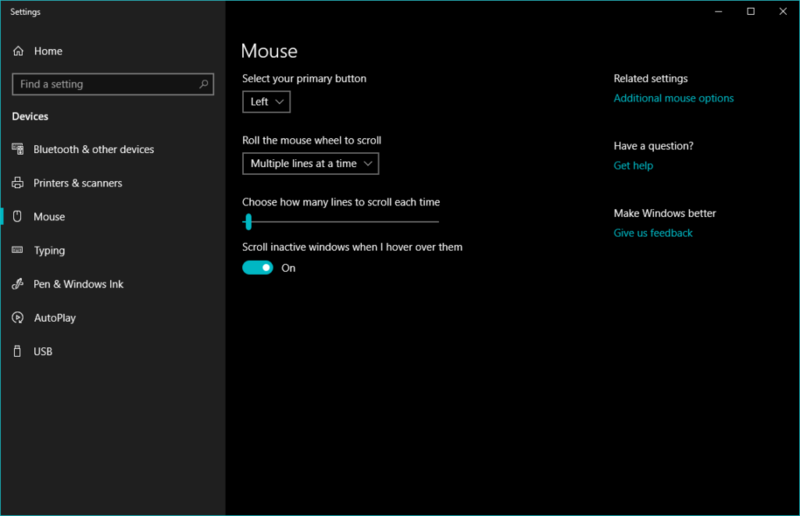 Then, you’ll want to pick “Additional mouse options” to the right side of the window. 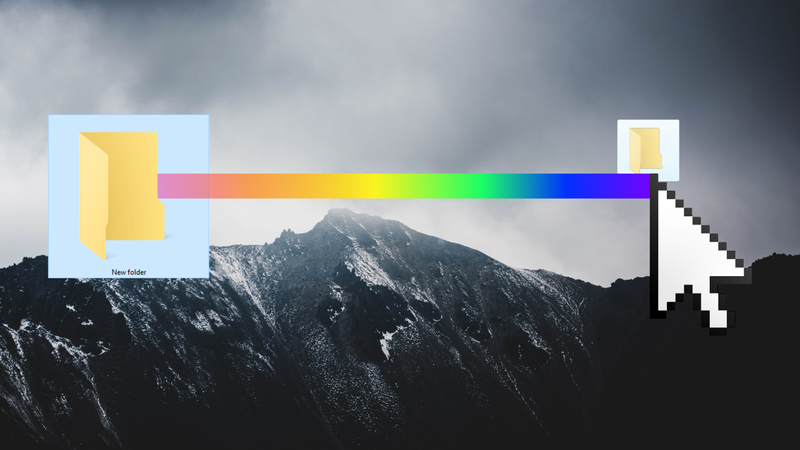 If your window isn’t as wide, the link will be at the bottom. 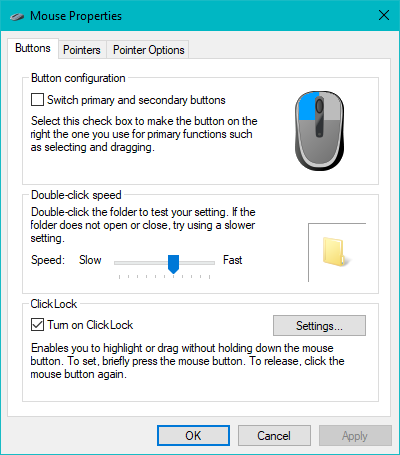 Now in Mouse Properties, click on “Turn on ClickLock”. It’s now enabled! Lastly, you’ll want to adjust the duration for ClickLock. You might not want it to trigger as fast as I do, so be sure to experiment with it. Opening a browser or text document can help with testing, try selecting text until you find a setting you’re comfortable with. The ClickLock setting also exists under Mac OSX. There, it is called Drag Lock. Drag Lock can be enabled by going to Settings → Accessibility → Mouse & Trackpad → Trackpad Options → Enable dragging with Drag Lock.